Researchers have identified a type of genetic aberration to be the cause of certain neurodevelopmental disorders and congenital diseases, such as autism and congenital heart disease, which are undetectable by conventional genetic testing. The discovery that genetic mutations called epivariations are involved in these diseases could lead to more advanced diagnostic tools for many congenital and neurodevelopmental disorders, say researchers from the Department of Genetics and Genomics Sciences at the Icahn School of Medicine at Mount Sinai and collaborators from Radboud University Medical Center (The Netherlands), University of Minho (Portugal), and Porto Hospital Center (Portugal). The research team's results were published in May 2018 in Nature Communications. Epivariations are variations in the DNA molecule that do not affect the basic composition of the DNA molecule, called the DNA sequence, but result in a change in gene function. Because conventional genetic testing analyzes the DNA sequence, diseases that are caused by these epivariations need to be tested for using different mechanisms. The specific epivariation found in this study was caused by excess DNA methylation—when a methyl group, composed of hydrogen and carbon atoms, is attached to a DNA molecule. "Our study suggests that these epigenetic mutations are a significant contributor to human disease," said Andrew Sharp, Ph.D., Associate Professor in the Department of Genetic and Genomic Sciences at the Icahn School of Medicine and lead investigator of the study. 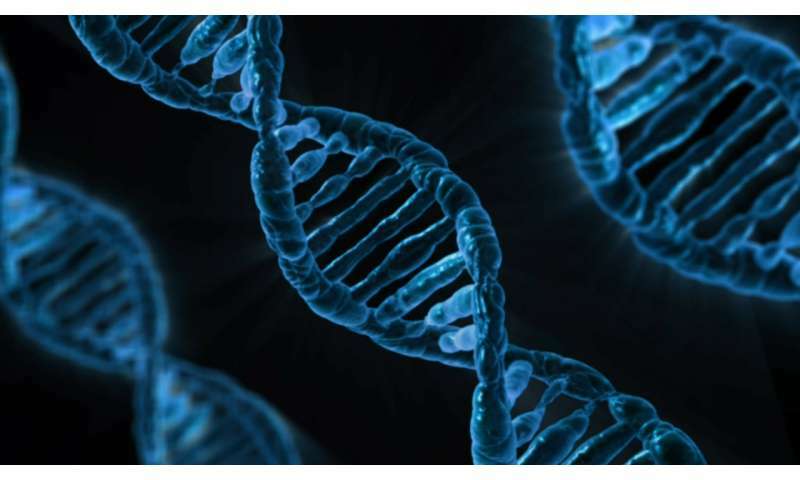 The research team studied the genetic profiles of 489 patients with known neurodevelopmental or congenital disorders, who had all previously undergone genetic testing that identified no DNA mutations. These disorders had long been thought to have genetic origins, so the scientists suspected that even though conventional testing hadn't discovered a genetic cause for them, epivariations in their DNA could be present, resulting in gene dysfunction leading to disease. To assess for epivariations, Sharp's team conducted methylation profiling—determining the DNA methylation within each patient's genome—finding epigenetic mutations that could be the cause of disease in approximately 20 percent of the studied cohort. Furthermore, in analyzing more than 5,000 genome profiles of individuals with no known diagnosis of congenital disease or neurodevelopmental disorder, the team discovered epigenetic mutations to be relatively common, and that they could typically be identified via a blood test. Standard genetic screening methods, such as whole-genome sequencing, are applied to thousands of human genomes around the world. What's missing, says Dr. Sharp, is epigenomic profiling. "These findings can open up a whole new world in what we know about disease and genetic profiling," Dr. Sharp continued. "Investigating DNA methylation when profiling genomes for disease mutations could help us uncover causative defects in congenital and neurodevelopmental diseases that have eluded us for years."